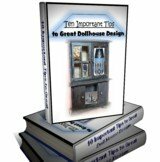 I have a Tennyson by Greenleaf dollhouse, completely finished on the outside. I am looking for someone in the Washington, DC, area who can finish the interior for me. I would like to find someone who will paint/wallpaper, do floors, interior windows, all moldings, and finished edges around the entire open area on the back of the house. I do not need the house to be wired - I'm going to use battery-operated lights. There you have it. If you are an interested person in the Washington DC area feel free to get in touch with Maggie. This could be a labor of love for both interested parties. But don't be hesitant about stating your fees. This is going to require your time and energy. So do what you know you have to. To make it work for both artisans involved. Dollhouse construction after all is like building a mini, sometimes very mini, home. And it does take some know how and enthusiasm to complete. Love the work and have a great time designing and helping one another out. If you are wanting a more detailed view of what this project might consist of just follow the above link. It will show you more info to study. Happy building to both of you.